They are found on sunny cliffs. They grown up to 4-12" tall, blooming in June. 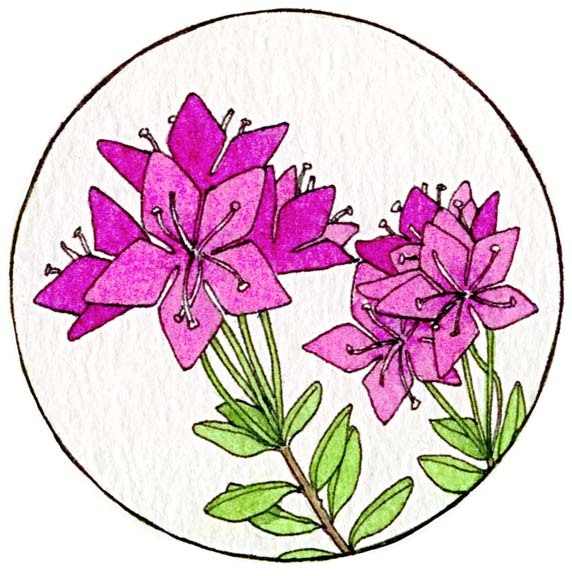 They have bright, pink blossoms with yellow anthers in the center and dark green, waxy leaves. They are an evergreen shrub.